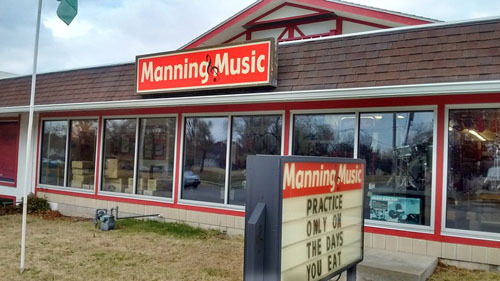 Manning Music has been serving the Topeka area for over 30 years. We specialize in Band & Orchestra instruments, for sale and for rent, and run a Full-Service Repair Shop to keep your instrument playing well. We also stock dozens of Electric Guitars, Acoustic Guitars, Bass Guitars, Amps, Drum Sets, Keyboards and Digital Pianos. 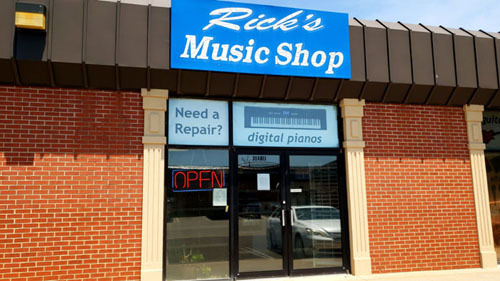 In 2018 we added a second location in Manhattan, Kansas, taking over for Rick's Music Shop & Guitar Service which has been in Manhattan since 1992. 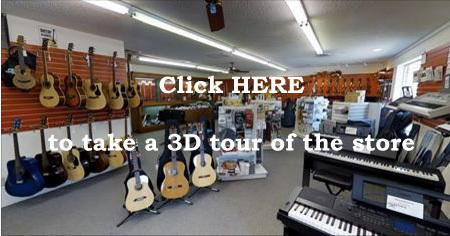 This location specializes in Guitars, Amps, and Guitar Accessories, but we are now also stocking dozens of Band & Orchestra instruments. We only have a selection of our inventory available posted to the website, so if you are interested in something and don’t see it, give us a call - we’ll be happy to hear from you.